Delve into the lush terrain of Golarion to harvest a bumper crop of new cards for your wild, wild life. 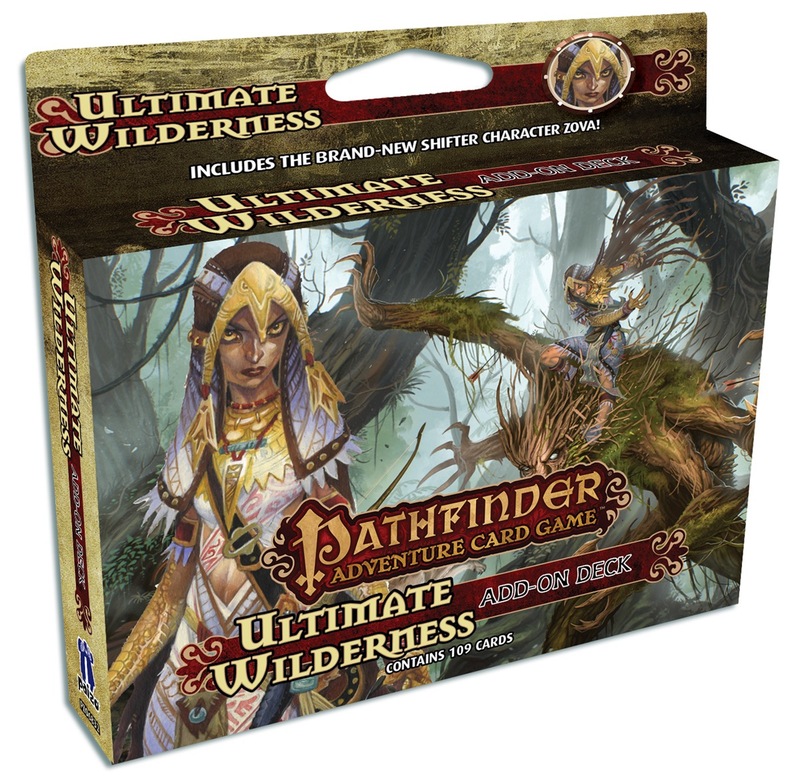 Overgrown with new animal allies, sentient plants, and fungal infusions, the Ultimate Wilderness Add-On Deck can be used with any Pathfinder Adventure Card Game character or Adventure Path. Or you can play with the character included in this 109-card box: Zova, the iconic Shifter. 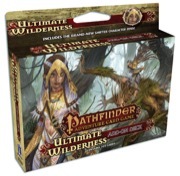 Go back to your roots with the Ultimate Wilderness Add-On Deck! Announced for July! Image and description are not final and subject to change. Nice! Perhaps an abundance of animal/plant allies to be had in this? And we get Zova! Yes! Is this the last we will see of the current version of the Game? I kind of want this by tomorrow. Anyway you can send it back in time a couple weeks from now to (July 9th). Any details to share regarding what is in this? While waiting on Paizo to make an official card list (which might be a while), this wiki contains details on what you’ll find in the deck.